All of our RHL team are former and/or current Team Canada Inline players. Each has represented their country across the globe and continue to help foster the game of roller hockey. This shared passion has lead to the successful launch of roller hockey london league. 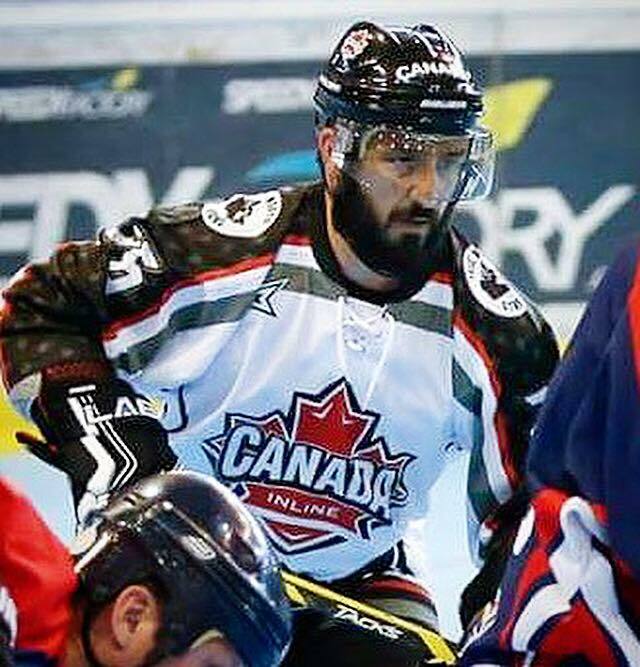 Eric is relatively new to the sport of Roller Hockey and is proud to be a member of the 2018 & 2017 Team Canada Masters program. Eric has played ice hockey since he was 3, including experience at the Jr. A, B and D levels. Eric is a long-time Londoner who is extremely passionate about growing the sport of roller hockey across SWO. 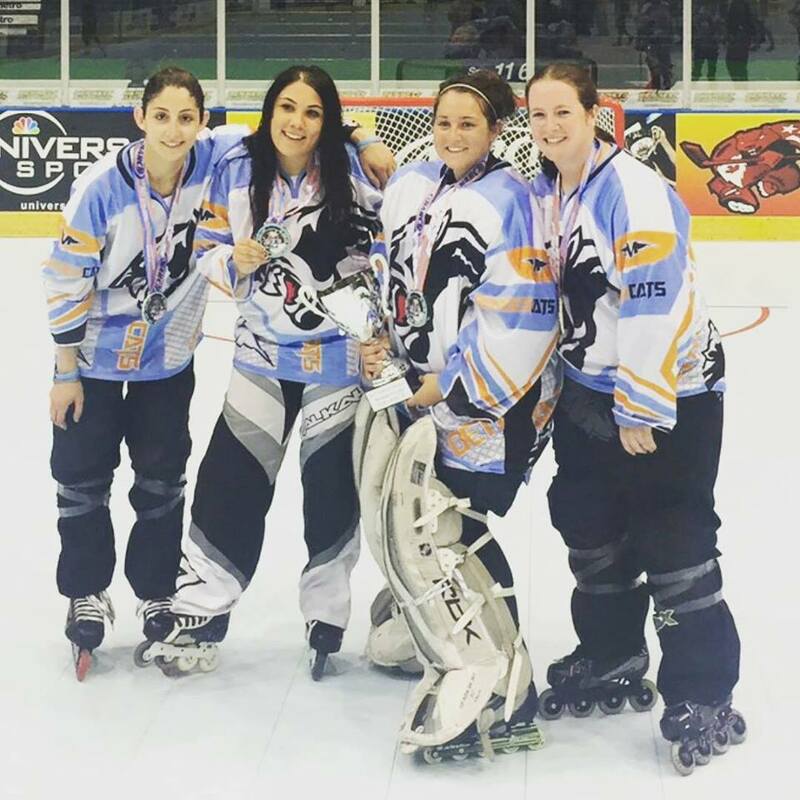 Kassandra started her roller hockey career in 2014, transitioning from Ice hockey where it all began at the age of 4 (boys and girls travel). Kassandra played Jr. hockey in the PWHL for Hamilton Hawks, University of Windsor and is currently playing ice hockey in Michigan for Belle Tire Women’s SR A. Kassandra is participating yearly in Women’s Pro Torhs and Narch taking home multiple top goalie awards as as she spends her spare time working with younger goalies in the London Devilette’s Girls hockey program. Kassandra is representing Team Canada in 2018, travelliong to Italty for the World Cup. Danny Started playing roller hockey in 1994, so it’s no surprise that he went on to compete nationally. He has represented Canada in14 World Championships. He has won many of the world's tournaments, as well as MVP and top scorer awards a long the way. Sam is relatively new to the sport of Roller Hockey but is no stranger to high level Hockey. Sam played local JR B with the St.Thomas Stars were he received an NCAA scholarship to R.I.T in Rochester NY. Sam went on to play semi-pro in both Elmira NY and Amarillo, TX. He now resides in Strathroy with his wife and two daughters and looks to help bring the joy and skill development of Roller Hockey to all youth in London and surrounding areas. Ryan is a seasoned hockey player who played ice and roller for the nationally ranked NCAA R.I.T. Tigers in Rochester NY. He won the NCRHA college roller hockey National Championship in his senior year as captain. After graduating, Ryan went on to play for Team Canada 6 times participating in tournaments around the world. Ryan is a Roller Hockey veteran with over17yrs on the sport court. Ryan's accolades are as follows: TORHS Pro, 4yrs GLI JR A (1 with London Fury and 3 with Kitchener Waterloo Rage), 3 GLI Championships with Kitchener Waterloo Rage, Team Ontario 16U.